Silver pendant necklace with Swarovski Crystals by KennyMa. This elegant necklace features a lace-like design with floral details covered with blue Swarovski crystals, a10mm rosette and a dangling 15 x 20mm blue swarovski crystal pendant. Necklace measures 40cm (15.8") in length and comes with a Life time guarantee by the designer. 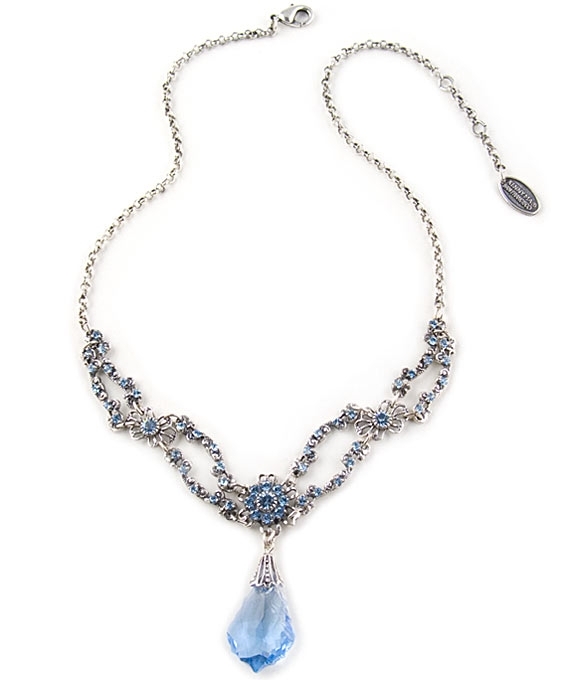 This fabulous necklace would make a lovely romantic gift. Length: 37.2cm / 14.6" , Extender: 3cm / 1.2 "